The ANLEC R&D Board of Directors is comprised of an independent Chairperson and representatives from the company’s funding providers, the power sector and the research sector, ensuring robust and diligent governance. 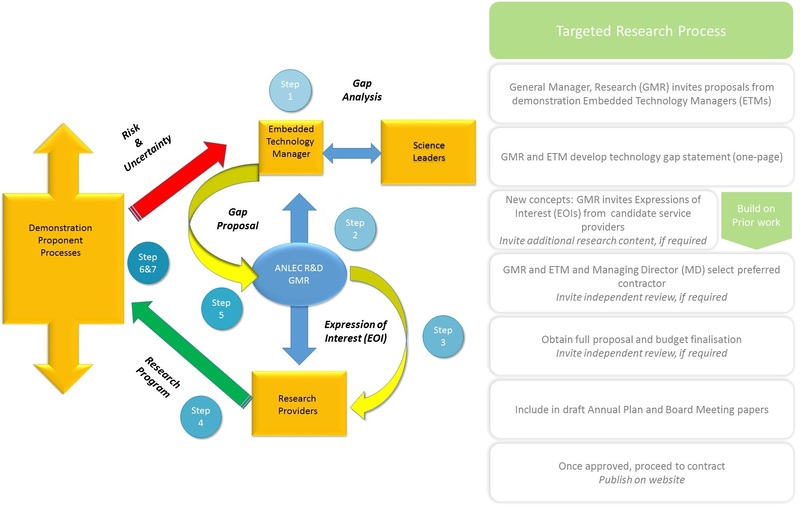 ANLEC R&D Embedded Technology Managers (ETM) are senior technical persons from the demonstration proponents who recognise and advise on those project investment risks that would benefit from targeted research. Senior Australian Science Leaders (SL) with expertise in one of the relevant disciplines, advise on technical, commercial or project, management risks associated with ANLEC R&D funded projects. Technical Project Leaders (PL) within the research providers have a responsibility to deliver agreed project deliverables and milestones in coordination with the assistance of the Project Coordinator and the Technical Administrator. Systematic reviews of research performance and progress are regularly undertaken by ANLEC R&D management with the engagement of expertise from the commercial demonstration proponents, Australian science leadership and the funding providers. It delivers the demonstration proponent with the most up-to-date science and data relating to their project throughout the duration of the research.